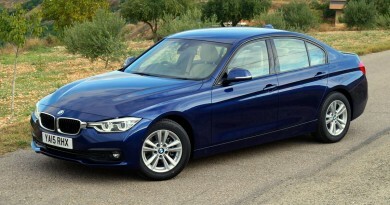 Trying to sell a medium-sized saloon car in the UK is a tough job, and surprisingly not because the population is switching to SUVs en masse. No, it’s because there are countless rivals, and they’re all really rather good. There are budget choices such as the Skoda Superb, through mainstream rivals from Ford and Vauxhall, and premium options in the form of the BMW 3 Series, Audi A4, Jaguar XE, Alfa Romeo Giulia and Lexus IS. Even the Swedes will join the fray soon, with the new Volvo S60, and the French have the beautiful Peugeot 508. Mercedes has refreshed the C-Class in response to this competition, giving it a a subtle, but refined new look. There’s also some new engines, including a new mild hybrid option tested here, and an ongoing focus on comfort rather than ‘sporty’ driving dynamics. That said, the AMG badge makes an appearance on many models, offering a more engaging choice for those tempted by its more overtly sporting rivals, while seriously hot models can be had for seriously frightening amounts of money. 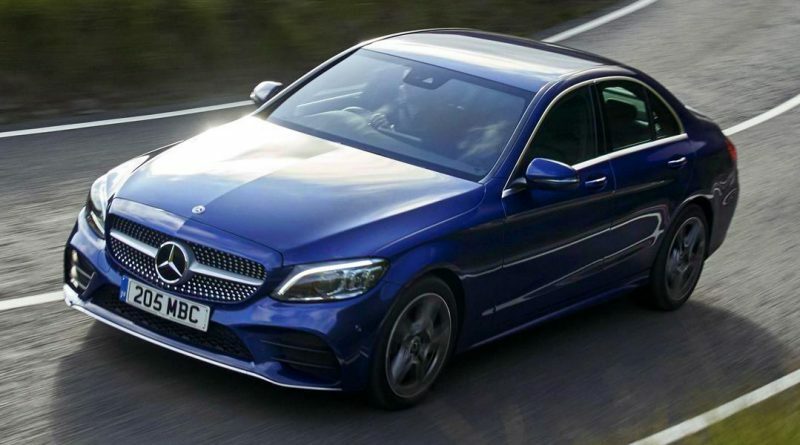 There’s an engine option for everybody in the C-Class range, and the best sellers remain diesel powered but, in this changing environment, the petrol options are gaining popularity. There’s a 1.5-litre petrol engine under the bonnet of this test car, with a turbocharger bolted on and the very mildest of hybrid drives to boost performance at the lower end of the rev range. A healthy 184hp is available, enough to push the car to 62mph in just 8.1 seconds. Forego the heavy 4MATIC four-wheel drive option and it’s even quicker. A fine balance of performance and economy is offered by this C200, although it’s not the smoothest of units. Demand the performance and it’s positively raucous, with more than an acceptable amount of vibration joining the party at the same time. The nine-speed gearbox changes down a couple of ratios frequently as well, ensuring there’s poke available when you prod the accelerator, but adding even more noise than you’d hope for. How the car rides depends on what model you specify. Entry level options make do with springs and dampers, but this AMG Line version gets adaptive dampers that use a valve to soften or stiffen the responses. This improves the ride, allowing for a more compliant response along normal roads, but start pushing the car harder and the valve closes, stiffening the suspensions and creating a tauter, more agile car. It adds confidence when required, without sacrificing ride quality, and works well. Optional air suspension does much the same across a wider dynamic range, but adds almost £1,000 to the price. There’s no hiding from the rather robust list prices of the C-Class, with this C200 costing more than £38,000. No matter how big a discount is available, and how tempting any PCP package is, it leaves company car driver with a significant tax bill thanks to a high P11D value. If you’re paying 40% income tax, expect a tax bill of around £380 a month. Private buyers fare a little better, with strong finance offers and high resale values keeping monthly payments lower than you might expect. A lot of that money has clearly been spent on design, as there’s no classier space inside a car of this size than the C-Class. It may not be quite as perfectly laid out as an Audi A4, or have the ease of use of the BMW 3 Series, but the interior of the Mercedes is simply beautiful. Open-grain wood trim adorns the centre stack on tis AMG Line, where lower models get piano black plastics, but whatever model you go for you’ll find it’s exquisite. The fake-metal surrounds of the air vents do jar a little, though. The infotainment system takes some getting used to, with three methods of operating it – a touchpad between the seats, a rotary dial underneath that, or buttons on the steering wheel. Frustratingly, the obvious touchscreen choice hasn’t been fitted, leading to random jabbing of the screen before you realise it won’t work. Android Auto and Apple CarPlay are fitted, but they’re both slightly limited by the lack of touchscreen capability. It’s loaded with other kit, and there are so many electronic safety aids that it’s difficult to know where to start explaining them. It’s all wrapped up in a body that’s good looking and offers a decent, if not class-leading, amount of space. Which means the C-Class makes a strong case for itself. Ignore the price tag and focus on the monthly costs and you might be surprised at just how affordable it really is. You won’t be surprised at how good it is though, despite a few niggles. * Monthly PCP estimate based on 20% deposit, 36 month term, 5% APR, final payment of 40%. The end for the muscle car?